Subcommittee on the Lease of State Water Rights: Study proposals to lease permanent school fund and permanent university lands and their water rights for the purposes of developing and marketing water. Analyze the present and future effects of such proposals on local aquifers, historic stream flows, local underground water conservation districts, and other public and private water interests. 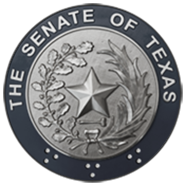 Study the process by which the General Land Office considers proposals to lease state water rights, including methodology for holding open meetings, obtaining public input, meeting competitive bidding requirements, and coordination with TCEQ and other governmental units with possible regulatory oversight. Study and evaluate the current and future value of water rights that may be leased to private entities, including the value to state, residential and commercial interests. Monitor the three on-going demonstration desalination projects by the Texas Water Development Board as one step toward securing an abundant water supply to meet Texas' future water supply needs. Study regulatory barriers that impair cost effectiveness of desalination (coastal and brackish) and how to facilitate use of this water source by municipalities.